Hearts Galore! can change with your whim - wear three semiprecious charms on each sterling oxidized hoop, or none at all. 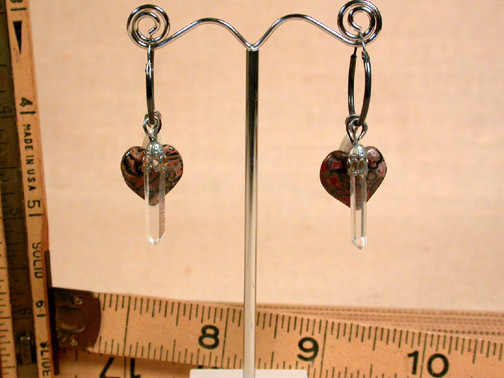 We've matched fine natural Arkansas rock crystals, pink-to-strawberry-to-charcoal grey leopardskin jasper hearts, and glass pearls with sterling gear beads for you to mix and match! 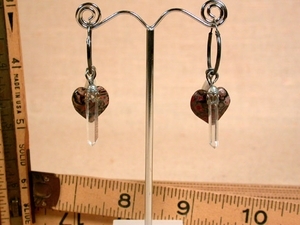 The 1" sleek tubular hoops extend to 2" to the tips of the quartz points in their filigree caps if you so choose, or to just 1-5/8" if you're opting for just framing your face with the hearts. 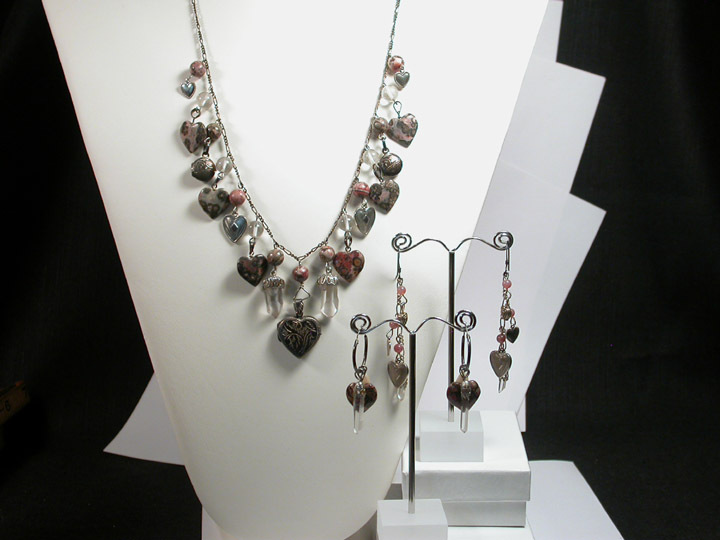 Elegant and light in any combination, their namesake necklace and dangle ears are shown in the inset photo.